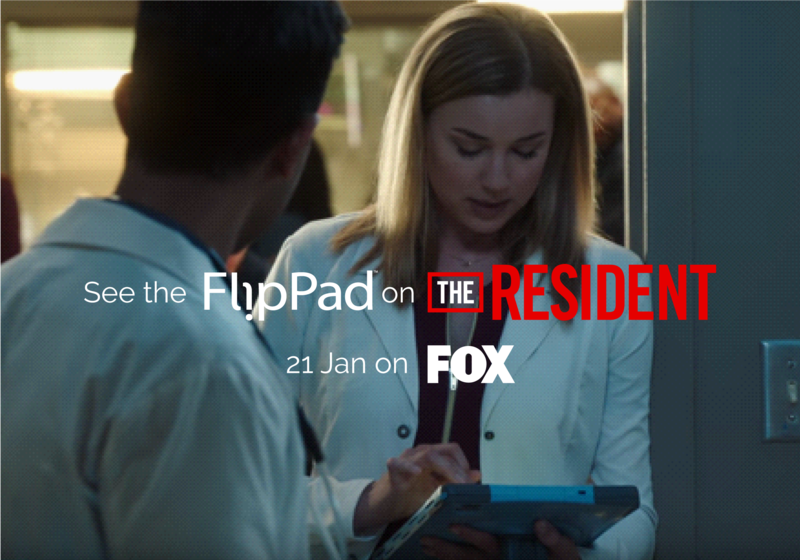 The FlipPad Stars in new Fox Medical drama 'The Resident'. 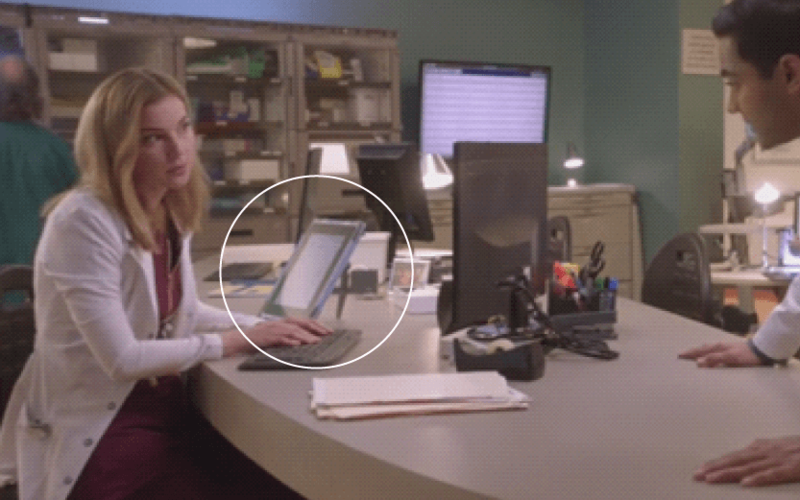 In this scene Emily VanCamp is using the FlipPad Standard’s patented rear handle to present the screen in portrait orientation. 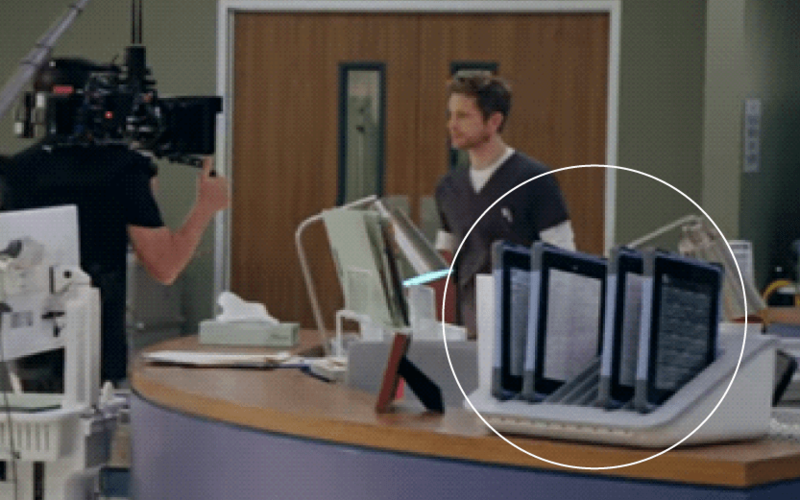 This coupled with the rubber corners creates unparalleled usability and allows web browsing and viewing medical records in their original format, key for fluid work-flow at any nurse’s station. In this scene four FlipPad Slimline + Secures are ready to go in a desk-top charging dock. This leaves them easy to grab at short notice and always fully charged when needed. Built slim whilst retaining the chemical and drop resistance common to all FlipPads, the Slimline + Secure is great for use with standard bedside mounts or simply slipping into your travel luggage.